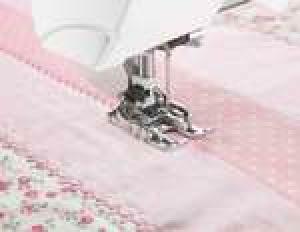 Are you a beginner quilter or crafter? 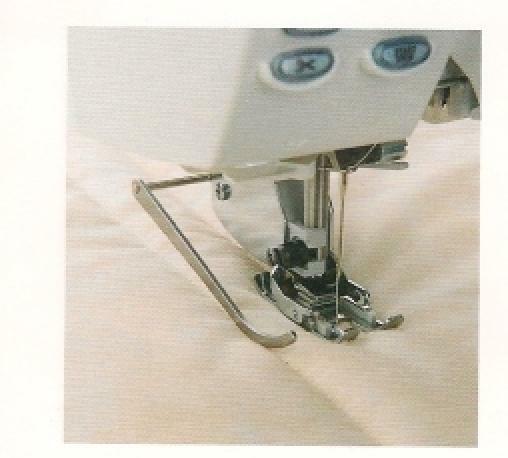 Do you have trouble getting that "perfect" 1/4" seam? Do you know someone who is? If you answered "YES" to any of the above questions, then this is a must-have foot for you. 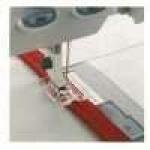 Here is another great beginner foot for the quilter/crafter. 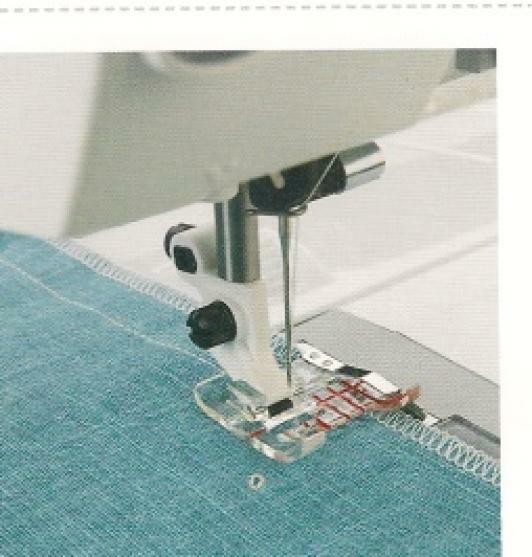 It has the guide for perfect 1/4" seams and it is strong metal. 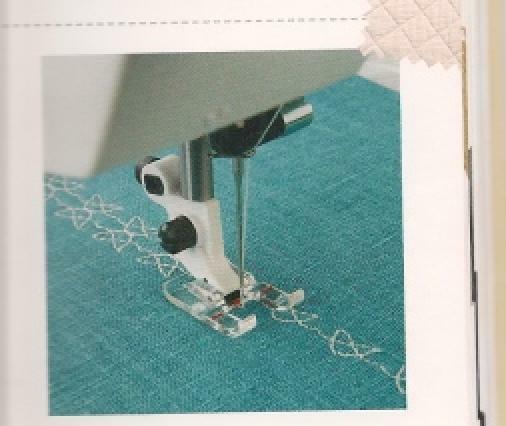 Guides topstitching and edge stitching perfectly. 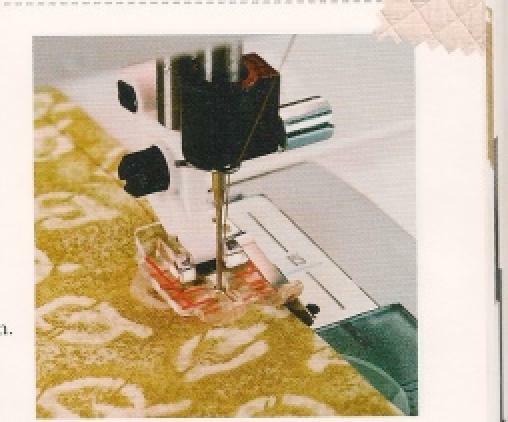 Have you ever done decorative stitches or applique with your "B" Foot but couldn't see your work very well? Then order this foot today!! 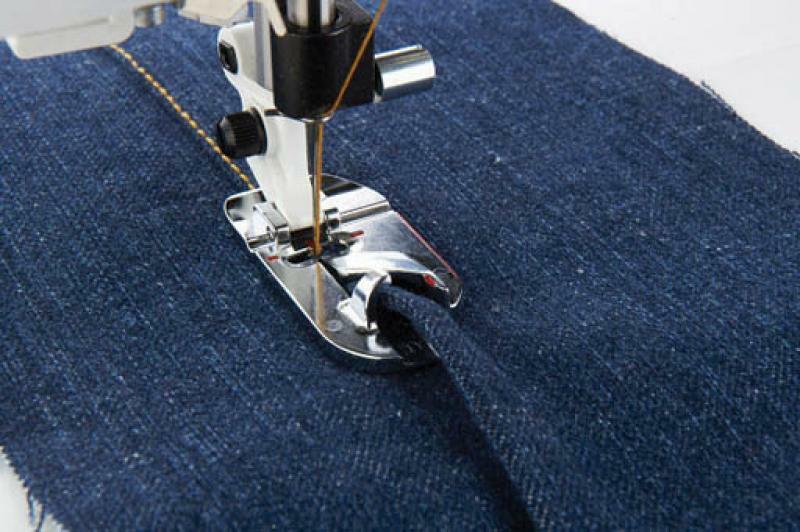 9mm Flat-felled seams such as the typical jeans seams, are extremely durable and popular. 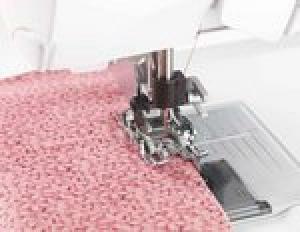 9mm flat-felled seams are often used in home dec items. 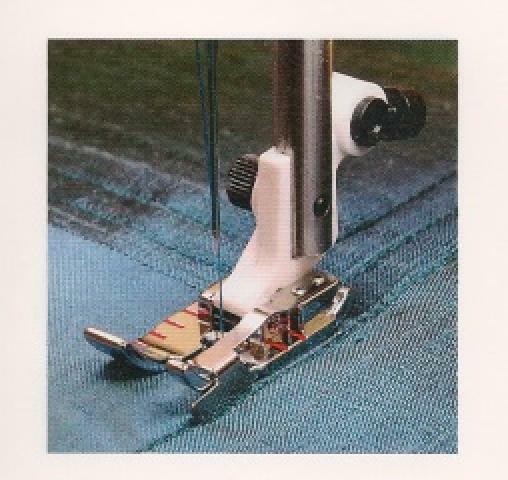 The Dual Feed Foot with CHANGEABLE presser feet is designed to feed layers of fabric and/or batting evenly. There are 2 feet in this set. They may be used with the embroidery hoop or for free motion embellishment. 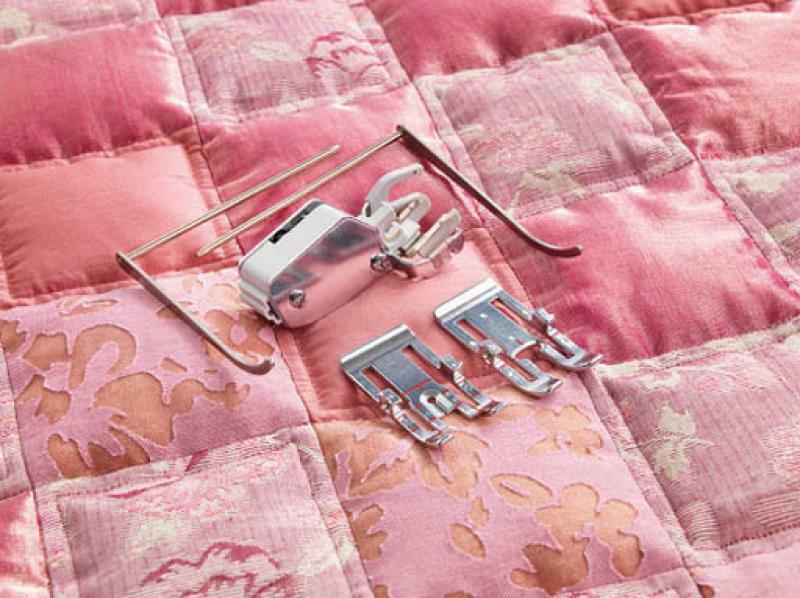 I had so much fun embellishing a bag with these feet! 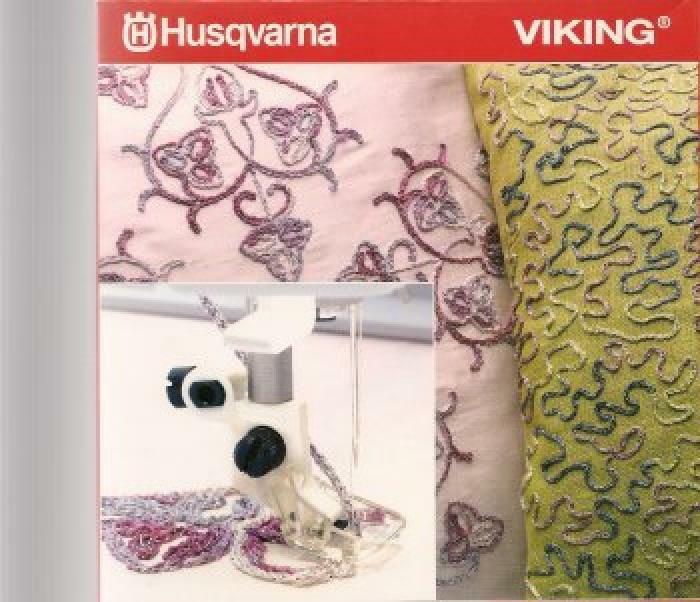 On one side I did an embroidery and on the other side I did a free motion design.